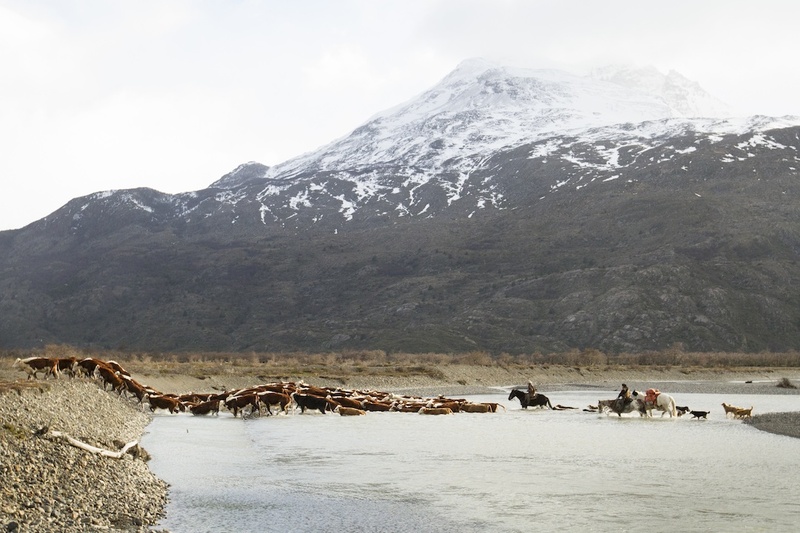 Chilean baqueanos from Estancia Anita cross the first of several glacial rivers as they begin a 3-day cattle drive to bring the animals to market. The ranchers must wait until wintertime when the temperatures are colder and the rivers are low enough to be crossed safely horseback. A packhorse carries supplies - a tent, food, and meat for the dogs - that will be necessary over the next several days.